Join us for the launch of some new resources for Christian Leaders that explore Hospitality and Sanctuary in Christian Scriptures, tradition and practice. Produced and presented by Revd Dr Inderjit Bhogal. 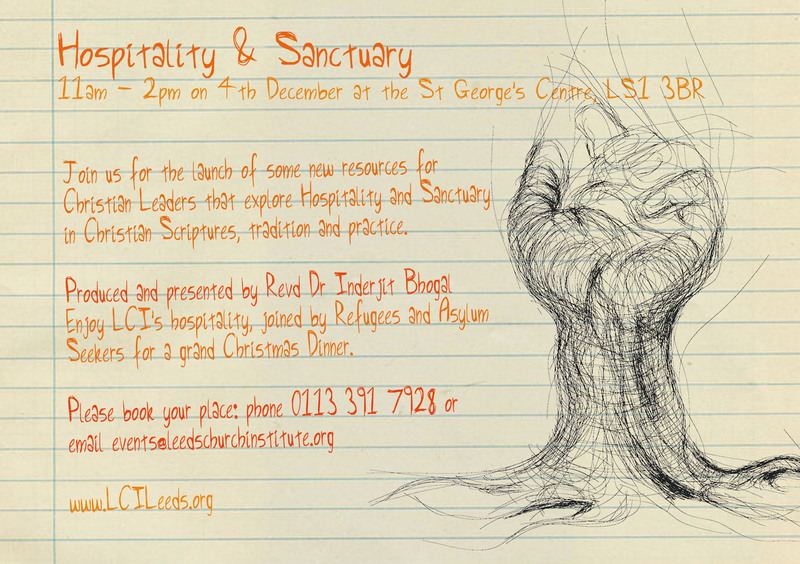 Enjoy LCI’s hospitality joined by Refugees and Asylum Seekers for a grand Christmas Dinner. To book your place: phone 0113 391 7928 or email events@leedschurchinstitute.org.